This Victorian style property built in 1915 has so many possibilities. Electrical and plumbing all have been updated along with roof. Current business is a Insurance and Swap/Sale Bussiness. This property is a full out residential or commercial property. Office space or living room in front and 3 Bedroom 2 bath in rear with full 2 car garage and full kitchen. Zoned C1 so can possibly be a hair salon, nail salon, day care, lawyer office, etc. So many possibilites. Master down stairs and 2 bedrooms upstairs. Basement for extra storage. Private patio in back for lunch breaks or just to get away. 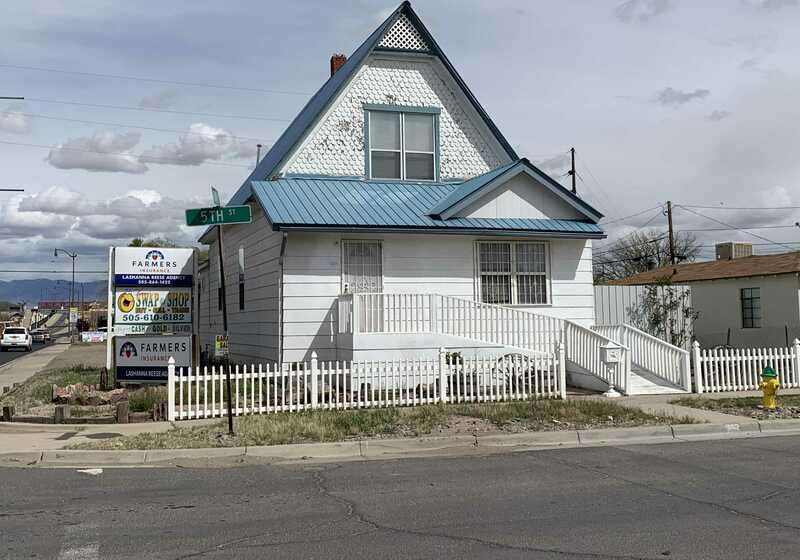 Please, send me more information on this property: MLS# 942160 – $299,000 – 415 Reinken Avenue, Belen, NM 87002.